Here are some famous Finchams. If you know about any others, please email us. Blyth quotes his obituary in The Times. The death of this gentleman took place at his residence at Highland Lodge, near Portsmouth, yesterday morning, in his 75th year. The deceased gentleman will be best remembered by the general public as for many years master shipwright of Portsmouth Dockyard, and more especially as the builder of the celebrated Arrogant, the first screw frigate possessed by this country, and still looked on as one of the finest of her class. Much of his time and study was devoted to the introduction of the screw propeller into the British navy. For a long period he was superintendent of the School of Naval Architecture at Portsmouth. His History of Naval Architecture, Outlines of Shipbuilding, a Treatise on Laying-off Ships, and on Masting Ships, are unequalled in the English language for the amount of research and professional knowledge they contain. As an acknowledgement of their merits the Emperor Nicholas of Russia presented Mr. Fincham with a snuff-box set with diamonds, and Mehemet Ali presented him with the order of the “Bey”. The following information was provided by a friend of David, and he is willing to answer questions. David Fincham (March 11, 1955 – November 29, 1992) studied Art at the University of Maryland (BA 1978) and later at UCLA and the Ecole des Beaux Arts in Paris. His drawings and paintings were displayed in France, Italy, Switzerland, Washington DC and Los Angeles, all the places where he lived. His last show was at the William Turner Gallery in Santa Monica in the summer of 1992, and his work was featured prominently in the University of Maryland’s 1994 “Significant Losses” exhibition of artists who died in the AIDS epidemic. The video documentary “Drawing On Life – the Art of David Fincham” was produced by Richard L. Harrison. These pitctures were taken from the University of Maryland website, but the page is no longer available. Another correspondant tells us that she knew David and has several of his pictures. Tim Finchem (note the variant spelling) is or was head of the United States Professional Golf Association. Major Fincham is a fictional character in the movie Von Ryan’s Express. A correspondents tells us that Finchams were well known as diamond miners in South America, and that his father’s uncle mined the largest diamond found in the southern hemisphere. The following information has been received from James Amy. 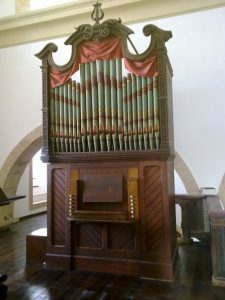 I have a book titled “Colonial Organs and Organbuilders” which is about the pipe organ building industry in Australia. It has a great deal of information about George Fincham who established his business in Melbourne, Victoria in 1862. He emigrated to Australia in 1852 from London where he served as an apprentice starting in 1842. George’s father was also an organ builder at Tottenham Court Road, London. This book traces the family back to the village of Fincham in Norfolk, England. It also has a family tree which starts with John Fincham born in 1705/6. When the book was written in 1969, the George Fincham & Sons Organbuilders was still in business in Melbourne. 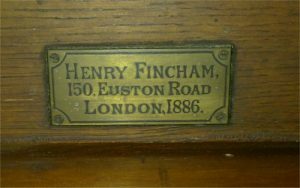 There was an unbroken line of Fincham organbuilders for six generations back to 1770. I have discovered that the George Fincham Organ Company is still in business in Melbourne. Jim has also provided a more detailed account, and there is also more information on the web site of the Australian Organ Historical Trust. There is a magnificent organ in the Anglican Church of St. George’s in Lisbon, Portugal, built by George’s father, Henry Fincham. It was sent out by ship accompaned by two men to erect it in situ. Mr. Fincham himself went out to Lisbon on May 25th 1888 to supervise the final phase. It cost £526. It is still in use today. Update January 2014. 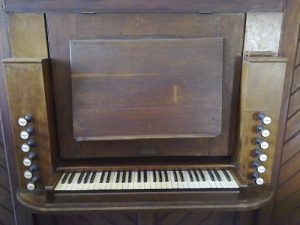 Another correspondent, Francisco Vilaça Lopes from Portimão in Portugal has informed us that there is another Henry Fincham organ in the Church of Our Lady of Immaculate Conception in Portimão. Peter Fincham was a producer and later managing director of TalkBack productions, founded by the comedians Griff Rhys Jones and Mel Smith. In 2005 he became Controller of the BBC1 television channel, and then in 2008 moved to ITV, the commercial rival to the BBC, as Director of Television. For more details, see the Wikipedia article on Peter Fincham. John Fincham’s research was a guiding framework for the field of fungal genetics and biology in the twentieth century. He was a professor at Leeds, Edinburgh and Cambridge universities. He was a Fellow of the Royal Society, and of the Royal Society of Edinburgh. For more details, see the obituary on the website of the National Institute of Health of the USA. Laurie Fincham had a long career as a research and design engineer at the British loudspeaker companies KEF, Celestion and Goodmans. He was also a semi-professional jazz bass player. Currently he is Chief Scientist at THX, the cinema technology company in California, USA. Lauren is a singer and songwriter from Atlanta Georgia. Go to her web site for some samples of her music. Marc Fincham was a vocalist with the punk band The Lurkers in the early 1980s. He now lives in Berlin, and recently (2010) held a gig there with some former band members. 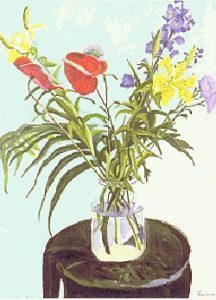 Peter Fincham is an artist in South Africa. 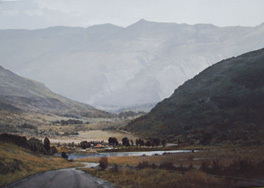 His paintings, mostly landscapes, can be seen on his website www.peterfincham.co.za. Also, on his blog, aspiring artists will find help and insights. 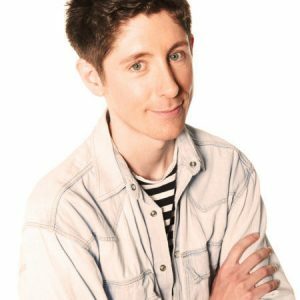 Matt Fincham is currently a BBC Radio 1 editor and formally producer, working on successful shows such as the Breakfast Show with Nick Grimshaw and Annie Mac’s weeknight music show.